Dengue fever (pronounced Den-gee) , also known as Dandy fever or Break bone fever, is a mosquito-borne infection that causes a severe flu-like illness. There are four different viruses that can cause dengue fever, all of which spread by a certain type of mosquito. About 86 million people develop illness among 390 million who get infected every year. most of the infections being in the tropical regions. Approximately two-fifths of world’s population (2.5 billion) are at risk of contacting Dengue fever. Dengue infection rates among people who have not been previously exposed to the virus are commonly 40% to 50%. The same may go up to 80-90% during epidemics. Approximately half-a-million people with dengue hemorrhagic fever, are hospitalized each year, of whom many are children. About 2.5% of these patients die. The Dengue fever is caused by four strains of Dengue virus (DENV). These are carried from infected person through vector mosquito to healthy person. Usually once infected by a virus human acquire life long immunity from that virus, in ease of Dengue Fever if infected once the next attack may be more severe with chances of developing hemorrhagic fever very high. This is highly unusual and most dangerous feature of this disease. Therefore, people living in the endemic areas are at a high risk of developing lethal condition in cases of outbreak of the disease. The organism that carries disease in its body and transmits it without getting effected by it, is called a vector. The vector in dengue fever is a specific species of mosquito called Aedes aegypti or rarely by Aedes albopictus. The natural habitat of this mosquito is near clean water bodies. it gives its eggs over the clear water where larvae hatch and stay till they can fly. Only the infected mosquitoes transmit disease, and to get infected they have to come in contact with a diseased person or to be born by an infected mosquito. The symptoms of Dengue fever vary from mild flu like illness to severe hemorrhagic syndrome. This is discussed in detail in the following paragraphs. The symptoms usually begin four to six days after exposure to the virus and may last up to ten days. According to severity of the disease one can classify Dengue fever as Mild Dengue fever, Dengue hemorrhagic fever or Dengue Shock syndrome. If left unattended to, Dengue Hemorrhagic Fever (DHF) may cause death. 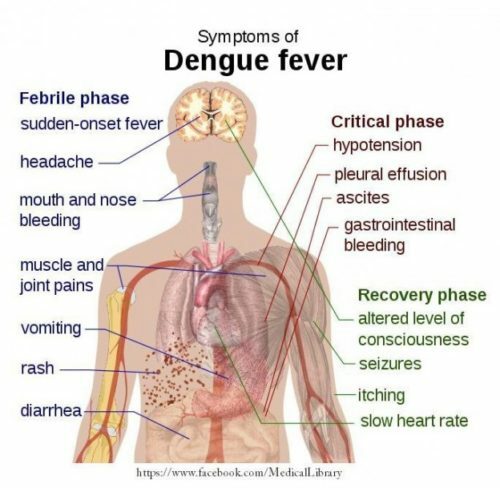 The diagnosis of Dengue fever is tricky as the symptoms may mimic simple flu like disease to Typhoid fever or Malaria, history of mosquito bite also complicates diagnosis pointing towrads malaria. 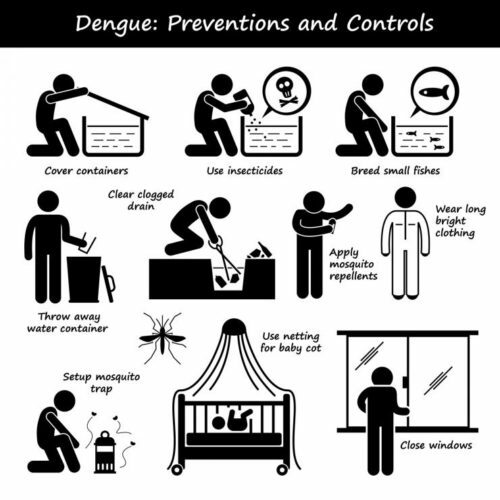 following may be helpful for clinician as well as the common people to distinguish Dengue fever from other diseases. History of travel, mosquito bite and being from the endemic area is very important. 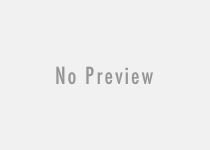 This may help in initiateting the right course of treatment at proper time. The symptoms of bleeding being peculiar to dengue hemorrhagic fever and other complicated disease course makes diagnosing DHF earlier possible, at the same time any kind of complicated sepsis can have same features. Dengue fever is a viral illness therefore there is no cure for the disease, most treatment is directed towards relieving of symptoms and avoiding complications of the disease. Such treatment is called supportive care. Pain control: Acetaminophin (paracetamol/Tylenol) is the drug of choice as the larger group of pain killers (NSAIDS) aspirin or ibuprofen may increase the risk of internal bleeding. Dehydration: Fever and vomiting cause loss of fluids from the body which may be replaced with oral intake of fluids and oral re-hydration salts, in severe forms intravenous fluids can be administered. Hospital admission: To monitor bleeding, complications, and blood pressure patient may require to stay within the hospital. Fluids: Replacing the fluids, in some, may be the only intervention required to avoid severe form of the disease. 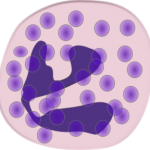 Blood and blood products: To control bleeding and limit bleeding internally blood products as FFPs (Fresh Frozen Plasma) and Platelets may be transfused. 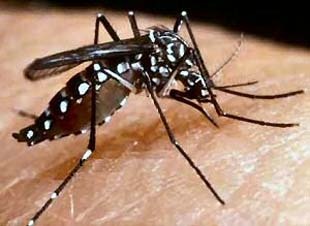 Drugs: No drug is available yet for curing dengue fever. As said very wisely “Prevention is better than cure” Dengue fever is a preventable disease. Prevention by vaccine is still under development due to four strains of the same virus. Biting by mosquitoes especially in endemic areas is the main line of prevention. Using treated tents, clothings and repellant coils can be helpful. 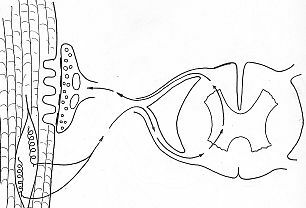 Aedes mosquito has tendency to bite at dawn, dusk and early evenings. Loosening soil from potted plants. This will prevent puddles from developing on the surface of hard soil. Turning pails (buckets) and watering cans over; storing them under shelter so water cannot accumulate in them. Not placing receptacles under or on top of any air-conditioning unit. Removing the water from plant pot plates. To remove mosquito eggs, clean and scrub them thoroughly. Changing the water every other day for Flower vases. While doing so, scrub the inside of the vase thoroughly and rinse it out. Covering the gully traps that are rarely used; replace gully traps with non-perforated ones, and install anti-mosquito valves. Hopefully this account of the Dengue fever may help preventing many cases this year, if you still have doubts feel free to ask directly.